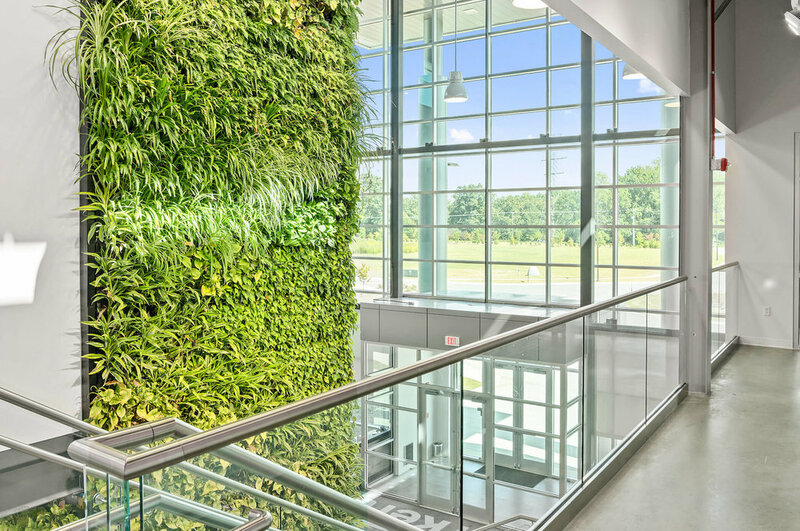 These plant columns are made with Suite Plants LivePanel® system, a simple, efficient way to use live plant panels. 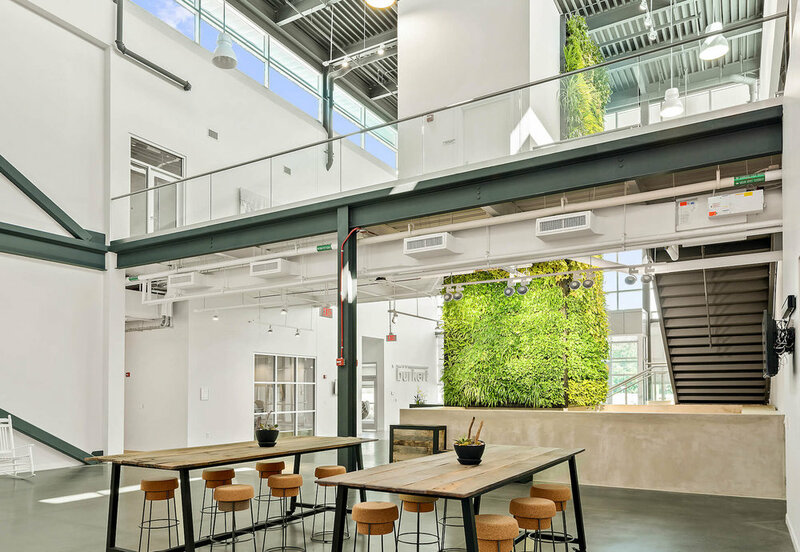 For their new US Headquarters, Burkert Fluid Control Systems wanted to grab visitors' attention as soon as they entered the building. 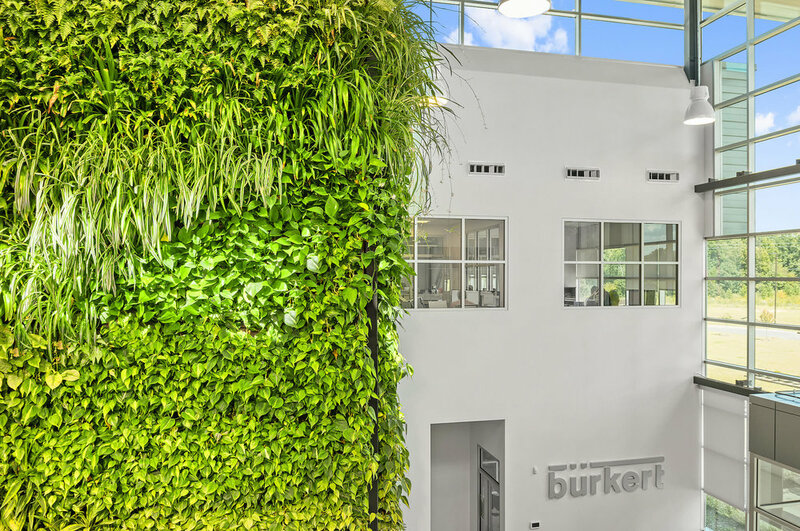 Burkert chose to advertise the building's sustainable credentials by installing a two-story, three-sided plant column. 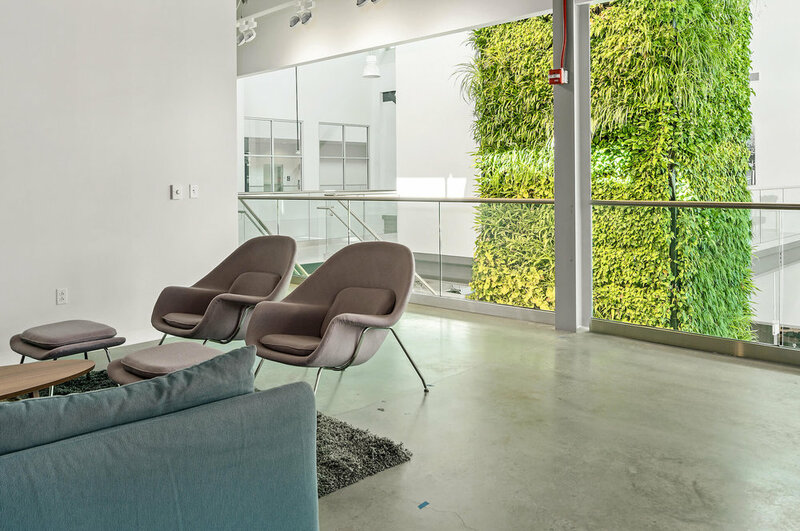 The imposing LivePanel green wall is the first thing that visitors see when they enter the building. 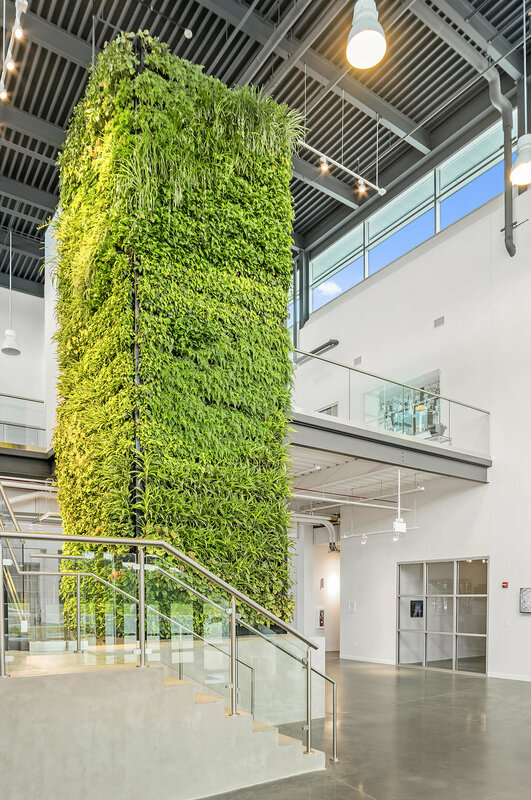 The architect and contractor chose the LivePanel living wall system because it could fit tightly together at the corners and seamlessly connect this multi-panel plant column.